As much as 60% of successful comprehension is tied to background knowledge. 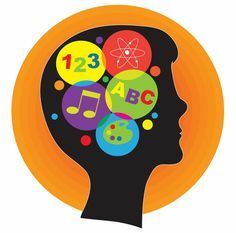 Prior knowledge about a topic is the strongest predictor of whether a reader will understand reading related to that topic. However, the surprising thing is the extent to which background knowledge influences other reading behaviours, such as problem-solving when meaning breaks down. Most of our students know about making connections to prior knowledge during reading. But too many struggling readers make superficial or inappropriate connections that don’t support comprehension of the text, and may even compound their confusion. Click here to download a document full of prompts and questions for supporting the strategy of making connections, as well as graphic organizers and assessment tools. 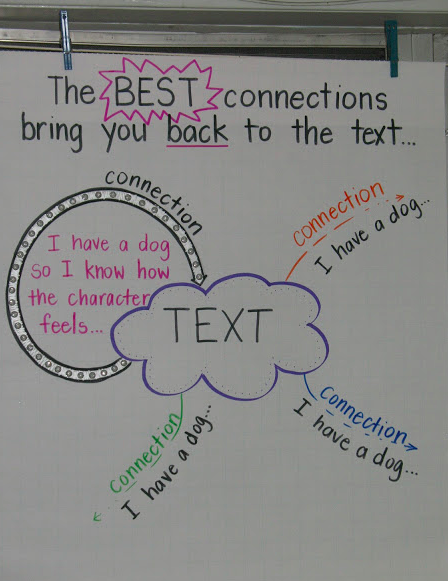 Check out the blog Joy in 6th to read one teacher’s thoughts on teaching students to make connections during reading and to download anchor charts such as the one on the right.